Photographer Marty Schoo gets his wheels dirty on one of Australia’s most iconic and historic drives. 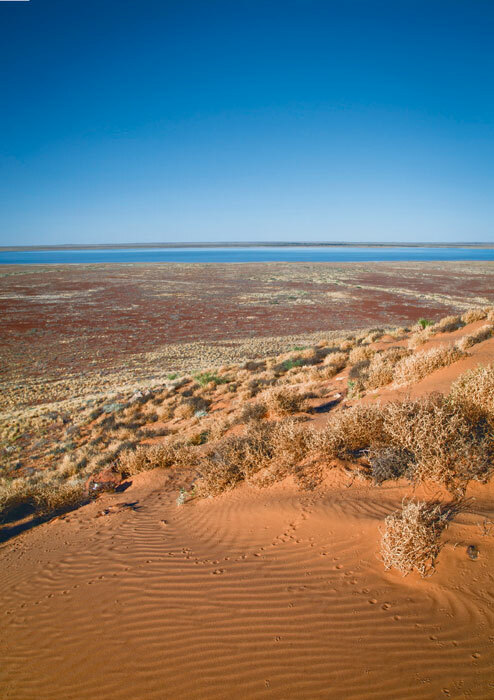 The Birdsville Track and the Australian Outback it crosses can be desolate yet so spectacularly diverse, with landscapes ranging from intricate red dunes and blazing gibber deserts to seasonal rivers and lakes filled with abundant floodwaters. First opened in the 1800s as part of the route for transporting cattle south from the Northern Territory, the long and dusty track allowed hardy Afghan cameleers to open up Central Australia with supplies, and helped cattle baron Sydney Kidman make his millions. 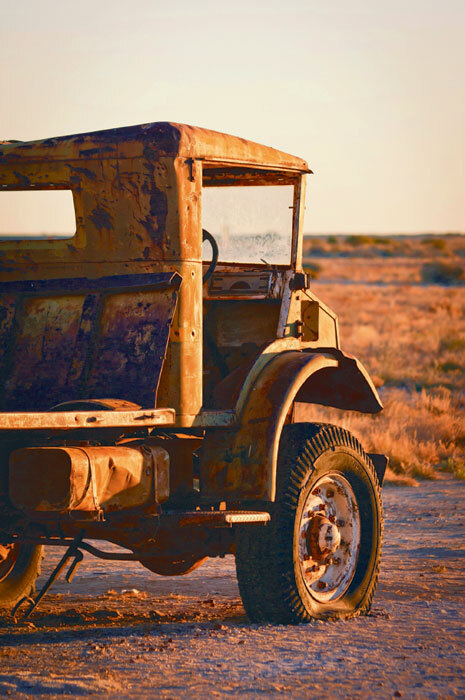 It also created legends like outback mailman Tom Kruse, who delivered mail once a fortnight from 1936. His famous Leyland Badger truck finally expired in 1957. The Outback is currently greener than it’s ever been, so our first day’s driving takes us past a full Lake Harry (usually dust), a wet Clayton River crossing and a Tirari Desert ferry ride across a flooded Cooper Creek! 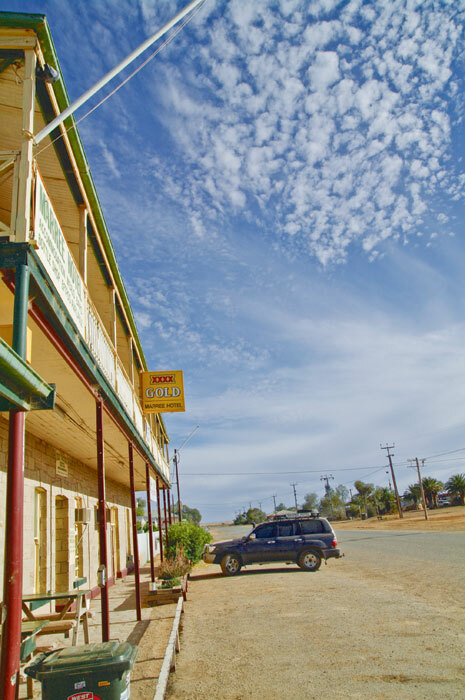 After an enjoyable day’s drive, the Mungerannie Hotel is a fantastic spot to refuel, set up camp and refresh with a cool drink, a tasty prebooked meal and an evening dip in the hot springs – the local pool is fed by warm artesian water. The next day we drive through the expansive, green-tinged Strzelecki and Sturt Stony Deserts before we arrive, exhausted by the meditations of the road, at Birdsville on the mighty Diamantina River. We end our journey inspired by the track’s history, and invigorated by the wide open spaces. Less (traffic) really is more. The Birdsville Track runs from Marree, SA, to Birdsville, Qld, 12km north of the SA border. The total road distance is about 510km, and it is best broken into a two-day trip. 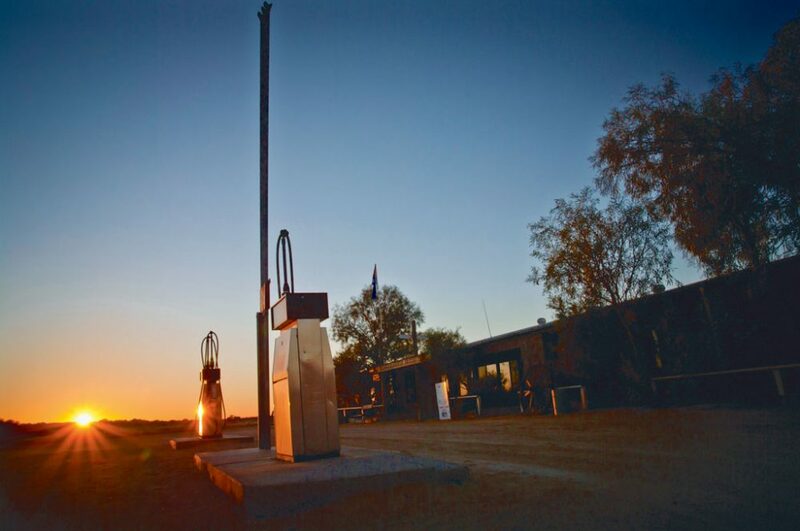 You can top up with petrol (and get new tyres if you need them) at the halfway point of Mungerannie, 210km north of Marree and 301km south of Birdsville. While 4WDs are still recommended, the corrugated dirt road provides a dream run compared to the early days. When to go: Daytime temperatures are at their most bearable from April to October. In December, January and February, average daily tempertures reach over 36°C – which would put any car’s air conditioning to the test. Where to stay: Don’t get too excited: there are no flash boutique hotels or luxury lodges out here. 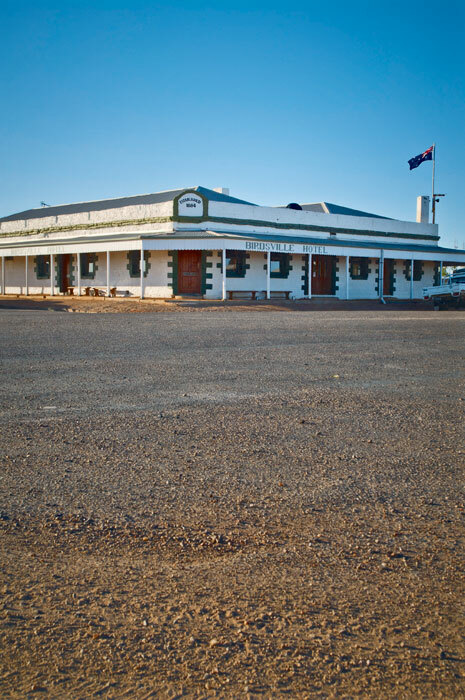 Expect basic facilities offered with a good dose of outback hospitality.